On 22 May 2017, Knife and Naturel were awarded The BrandLaureate Best Brand Awards 2016 - 2017 by the Asia Pacific Brands Foundation (APBF) in the Best Choice Brand - Cooking Oil and Most Favourite Brand - Olive Oil category. 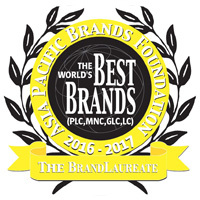 The BrandLaureate Best Brand Awards is a once in a life time award to honour brands that have demonstrated superb brand performance at cities in the world yearly. It is an exclusive By Invitation Only Award reserved for brands that have mastered the science and arts of branding. These brands are distinctive and eminent in their respective field and they are often the chosen or preferred choice. This award is another significant encouragement for Knife and Naturel brand journey towards brand immortality.